India launched a spacecraft towards Mars in November 2013. Impressed by the time and the cost effectiveness of the project, the world was abuzz with excitement and praise; although there were many who thought that India’s extraterrestrial excursions are profligate in a country starved of even basic necessities like clean drinking water and toilets. 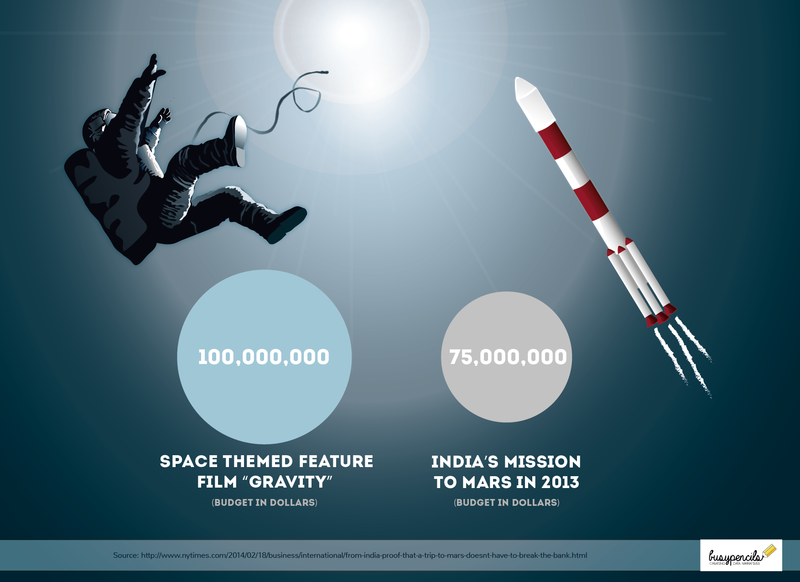 This infographic was inspired by an article in the New York Times which also had more interesting data about the frugal innovation culture in India and how it manages to support a space program with a meagre budget.